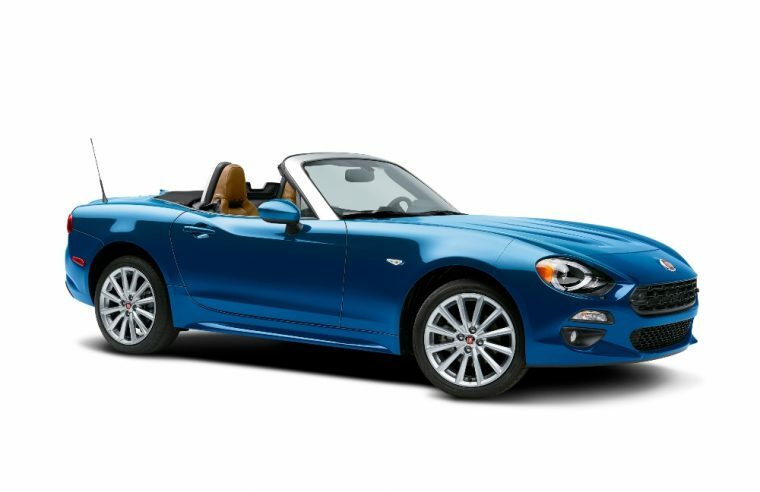 The 2017 Fiat 124 Spider is a two-door roadster that carries a starting MSRP of $24,995. The platform used with the Fiat 124 Spider was co-developed by Mazda and is also used with the new MX-5 Miata, but the Fiat 124 Spider convertible comes with its own signature exterior design, which is reminiscent of the original 1966 Fiat 124 Spider. 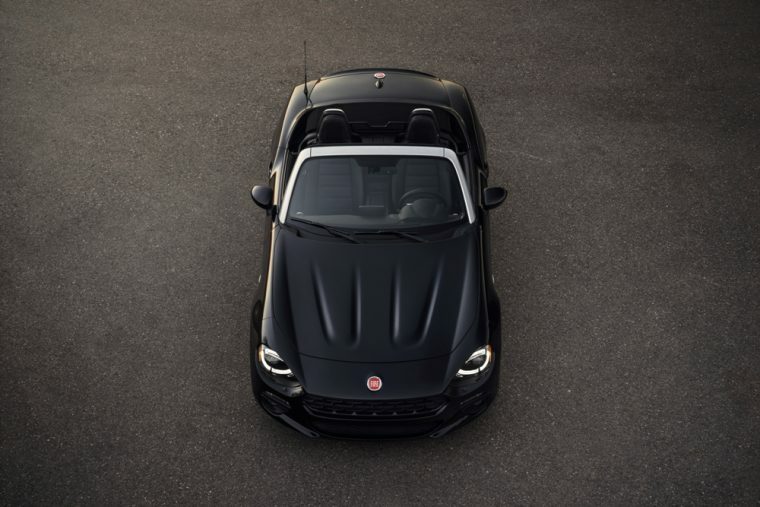 In addition, the new Fiat 124 Spider is powered by a 160-horsepower turbo-four engine, which makes it the most the affordable turbocharged convertible currently available in the United States. 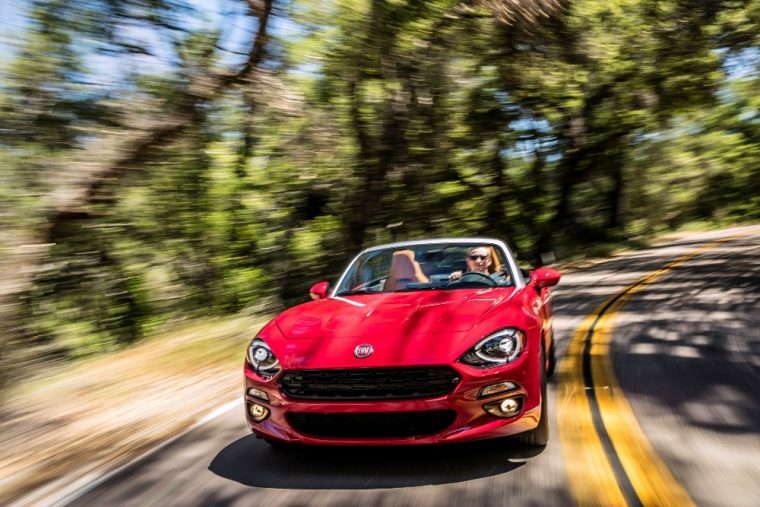 What’s new for the 2017 Fiat 124 Spider? 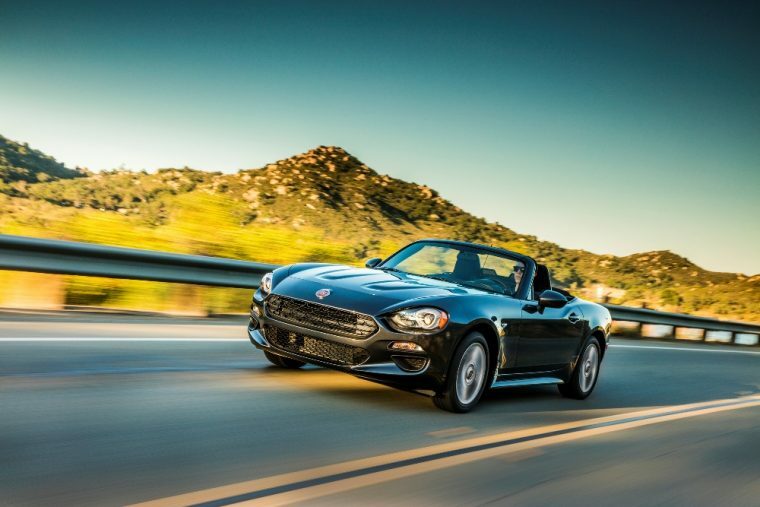 The 2017 Fiat 124 Spider is a completely new model. This is the first time that Fiat has offered a roadster in the United States in quite a few years. The 2017 Fiat 124 Spider offers a sleek and elegant exterior design that shares many of its styling cues with the original Fiat 124 roadster. The rear fascia features a horizontal taillamp design that’s similar to the styling of the 1966 model, while the front end comes with the same hexagonal shaped grille. 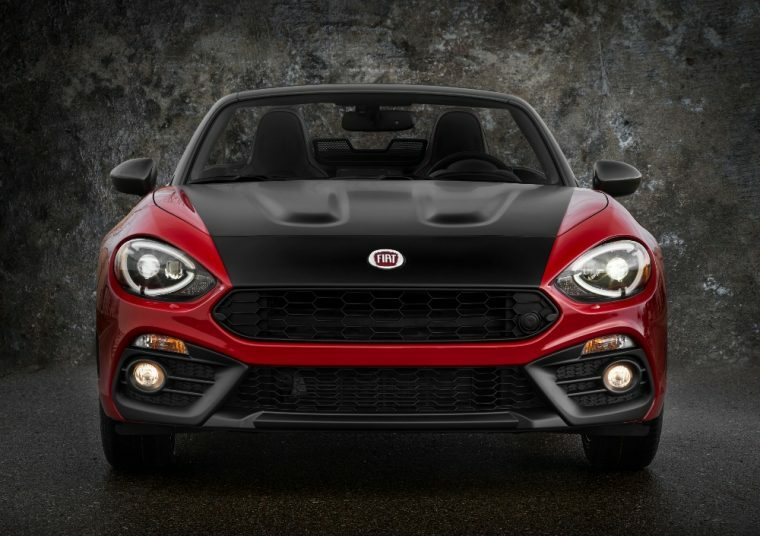 However, unlike the original Fiat Spider, the 2017 model includes a lower front grille, as well as fog lights. Notable exterior features that come standard on the new Fiat 124 Spider include 16-inch aluminum wheels and LED brake lights. Exterior color options include Bronzo Magnetico, Nero Cinema, and Bianco Gelato. The 2017 Fiat 124 Spider is powered by a 1.4-liter turbocharged four-cylinder engine that pumps out 160 horsepower and 184 lb-ft of torque. In addition, buyers can choose between a six-speed manual or six-speed automatic transmission. Fellow automotive site, Top Gear, estimates the new Fiat 124 Spider should be able to reach a top speed of 130 mph and accelerate from 0 to 60 mph in 6.5 seconds. Furthermore, the sportier Arbarth model features a unique exhaust system that adds an additional 4 horsepower. The Arbarth’s ride quality is also boosted by Bilstein shocks and limited-slip differential technology. Fuel economy varies for the 2017 Fiat 124 Spider depending on the buyer’s choice of either the automatic or manual transmission. The 124 Spider with the six-speed automatic yields an EPA-estimated 25 mpg in the city and 36 mpg on the highway. However, when equipped with the manual gearbox, those EPA ratings change to 26 mpg in the city and 35 mpg on the highway. Furthermore, every 2017 Fiat 124 Spider comes standard with an 11.9 gallon fuel tank. The interior of the 2017 Fiat 124 Spider is quite similar in terms of space and design layout to the Mazda MX-5 Miata. However, the Fiat roadster offers more soft touch surfaces such as a leather trimmed steering wheel and dashboard. One of the downsides to the new Fiat convertible is that an infotainment system doesn’t come standard. Nevertheless, consumers who are willing to dish out a bit more cash will be rewarded with a new infotainment system that can be operated through a 7-inch touchscreen display. This system allows the driver to access HD Radio and 3D navigation technology, just to name a few of its many features. Many sports cars are never crash tested by either the NHTSA or the IIHS, so chances are good the 2017 Fiat 124 Spider won’t be crash tested by either of these agencies. Standard safety features include multiple airbags, as well as electronic stability and traction control. In addition, the Spider’s steel safety frame features crumple zones that were designed to absorb energy and deflect it away from pedestrians in the event of an accident. Additional safety technology available with the new Fiat 124 Spider includes rear park assist, a rearview camera, and a blind spot monitor with rear cross traffic assist.